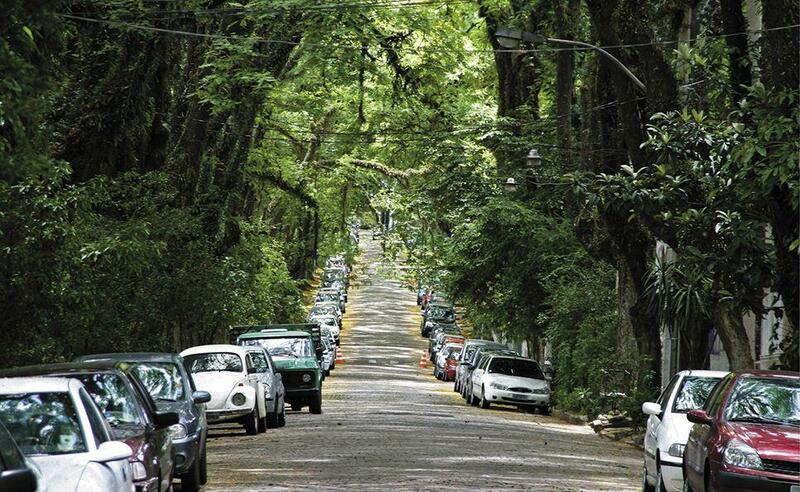 Sometimes, the trees envelop overhead in a canopy of leaves and flowers that’s nothing short of magical. 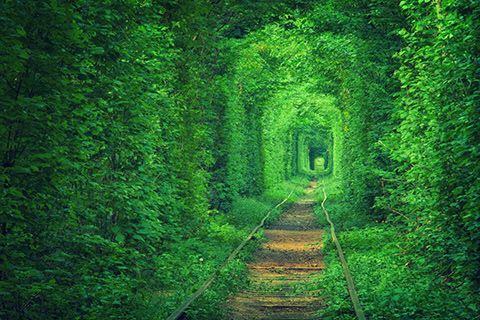 Klevan is a tiny town in western Ukraine that supports a population of some 8,000 odd people. 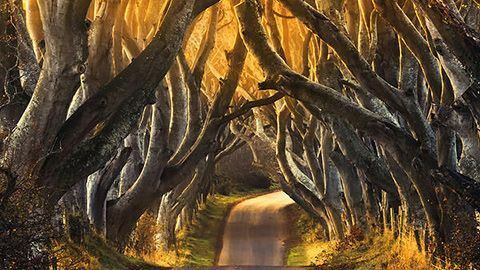 An old town with a history dating back to the 15th century, it is home to the ruins of the Klevan Castle, one of the oldest castles in western Ukraine. Near the outskirts of the town is a private rail track used to ferry wood to a local factory. 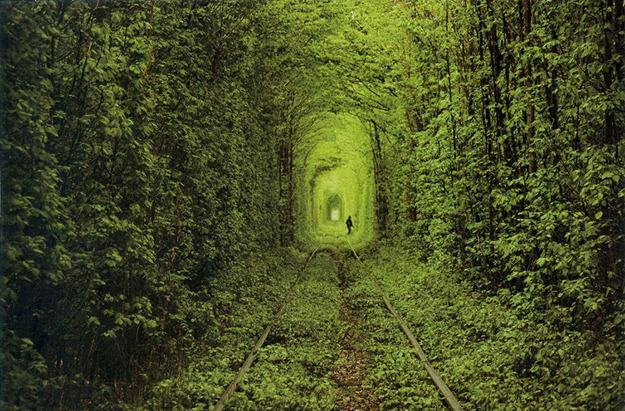 The green outgrowth around the train track folds over during full bloom, creating the illusion of a tunnel. 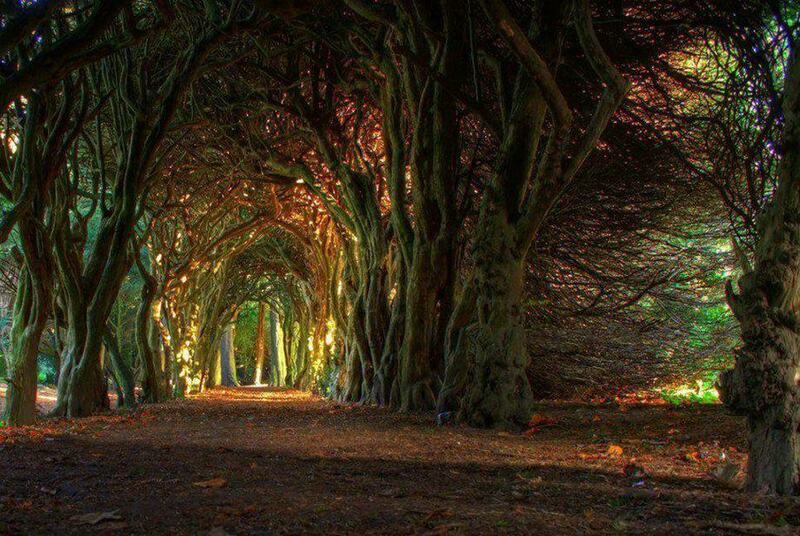 Local legend has it that any wish of the amorous kind made while walking through the tunnel comes true. 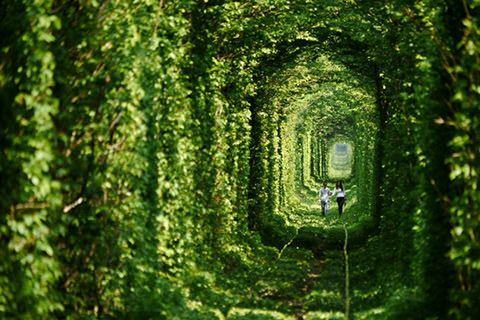 Hence the name, “Tunnel of Love”. Note: Most directions are based on the nearest big city I could find. 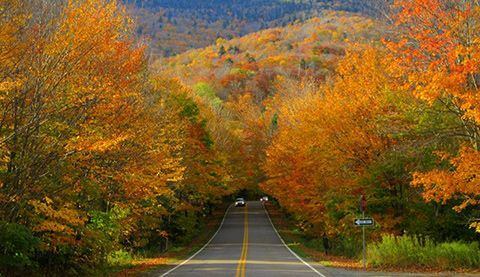 Thus, if you want to get to the Smuggler’s Notch State Park, the biggest city nearby is Boston or Montreal. The Kawachi Fuji Garden is a private garden in the city of Kitakyushu (population: 987,000), some 6 hours from Tokyo. While the garden is beautiful by itself, it’s best known for its tunnel of wisteria flowers. 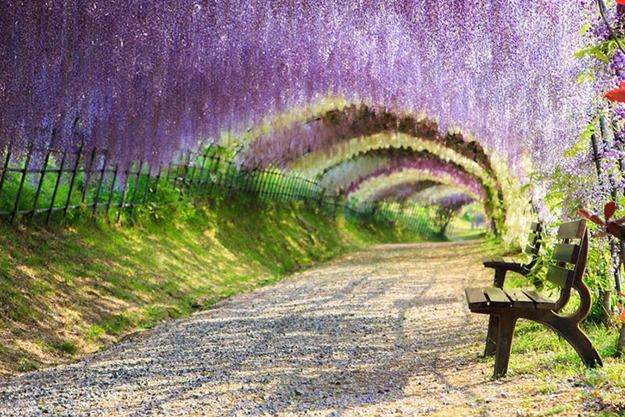 When the flowers are in full bloom around April and May, the experience of walking through the tunnel is not unlike walking through a fairy tale. 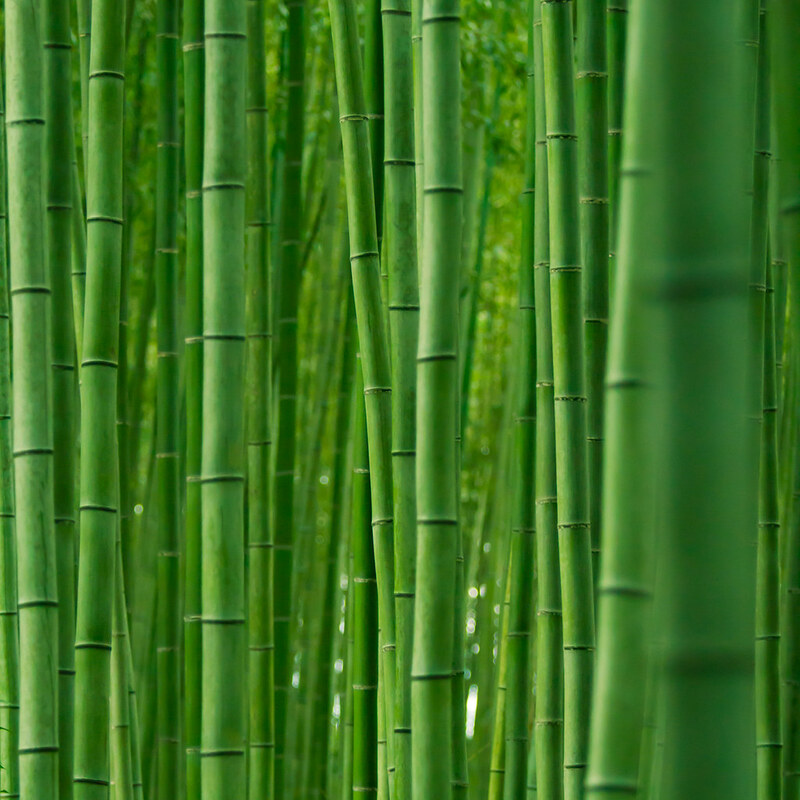 Despite it’s reputation as a city of tiny apartments and crowded public spaces, Tokyo is a surprisingly green city. 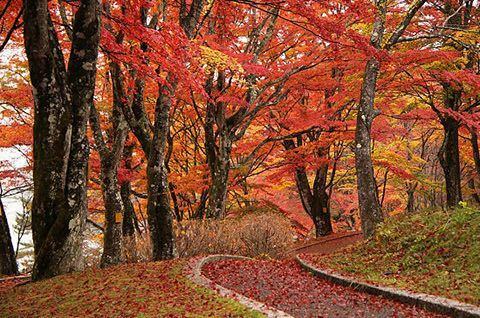 There are parks, open public areas and botanical gardens all over Tokyo. 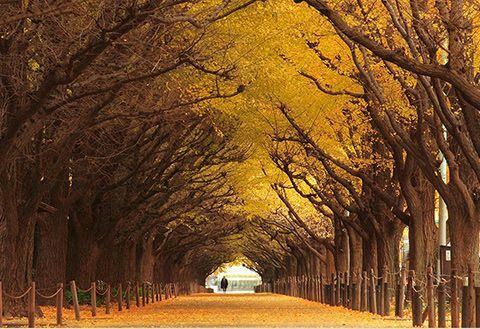 This tunnel can be found in the Meiji-Jingu Gaien park located some 1 mile east of the Meiji-Jingu shrine, named after the Meiji Emperor who passed away in 1912. 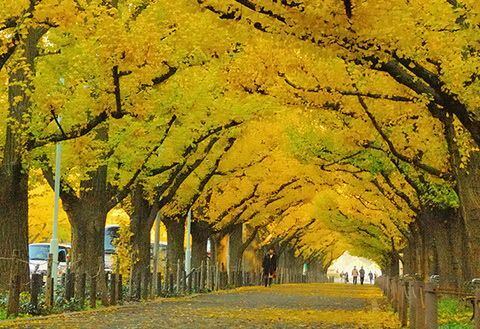 Beautiful in any season, the tunnel comes into its full glory in autumn when the gingko tree leaves turn a hue of deep yellow and feel almost magical. 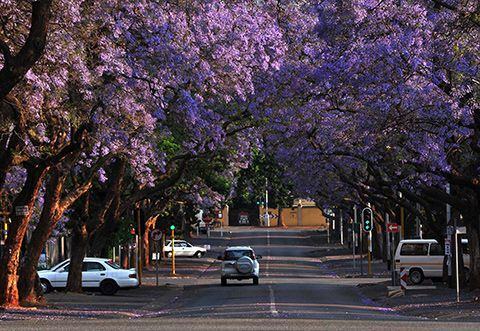 Pretoria is often called “Jacaranda City”, thanks to the miles upon miles of jacaranda trees that line its roads, parks and avenues. 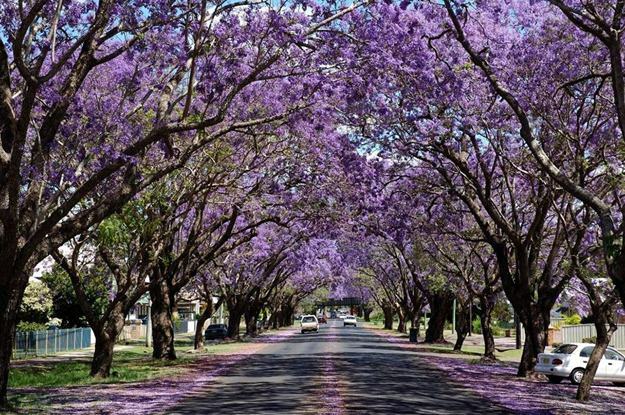 The brilliant purple flowers of the tree are a sight to behold, especially in early November (peak summer in the southern hemisphere) when the flowers are in full bloom. There are jacaranda lined avenues all over the city, though the prettiest is arguably along Old Church Street on the corner of Eastwood and Stanza Bopape. 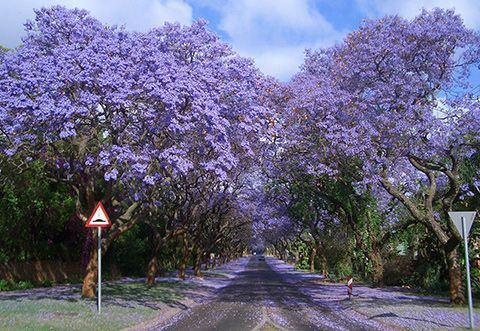 Here, the trees are so close together that the create a tunnel-like canopy of purple flowers. 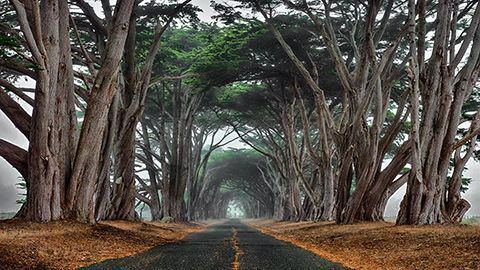 The Point Reyes seashore is the site of the historic Marconi wireless station – one of the earliest radio stations in the world and the only commercial Morse code stations still operational in the US. 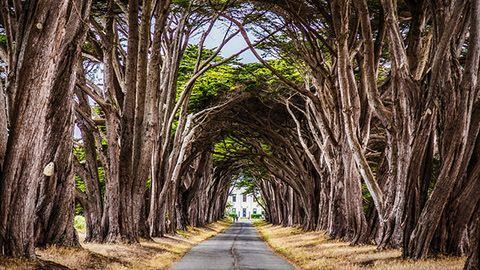 The rugged coast of Point Reyes is also home to a remarkable tunnel of cypress trees that date back to hundreds of years. 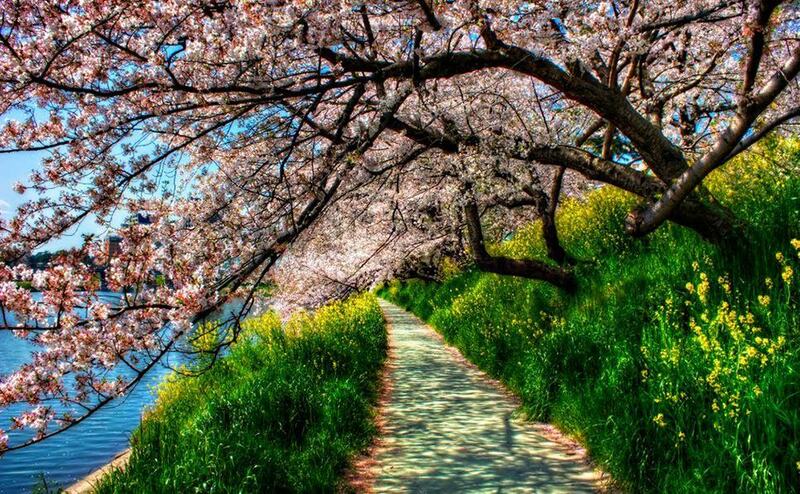 Sakura is Japanese for ‘cherry blossom’. 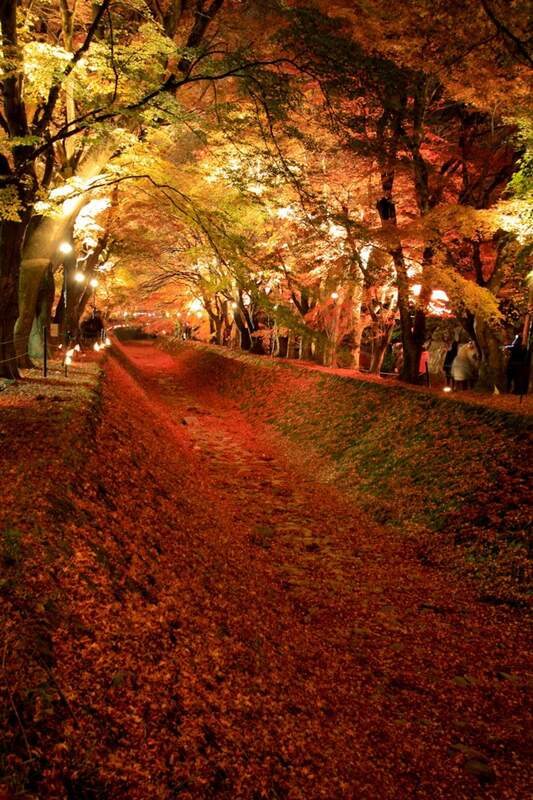 Sakura viewing is a tradition in Japan. 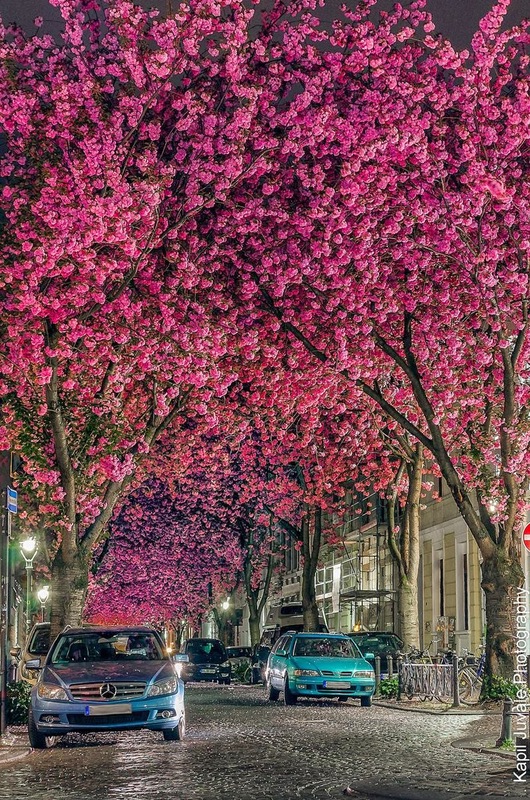 Besides being extremely pretty, the pink-white flowers of the cherry blossom trees often used as a symbol of the transient nature of life in Japanese poetry and philosophy. There are many, many places for sakura viewing in Japan, from major cities like Osaka to the countryside. 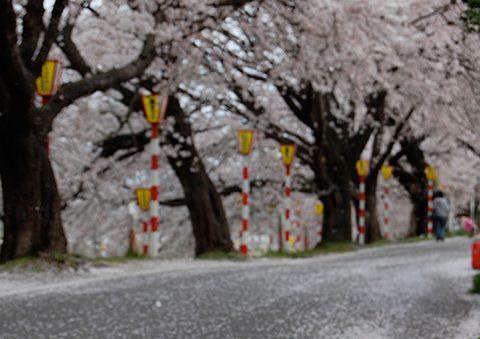 One great place for sakura-viewing is the town of Ogawara in Miyagi prefecture. 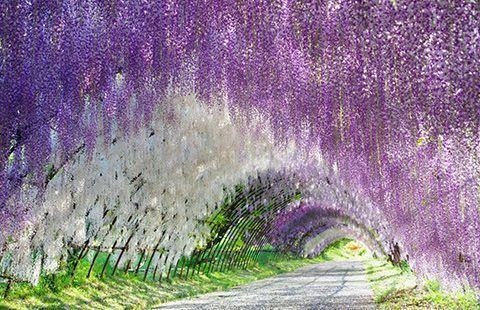 The sakura flowers fold over a small half-mile long path, creating a tunnel-like effect. 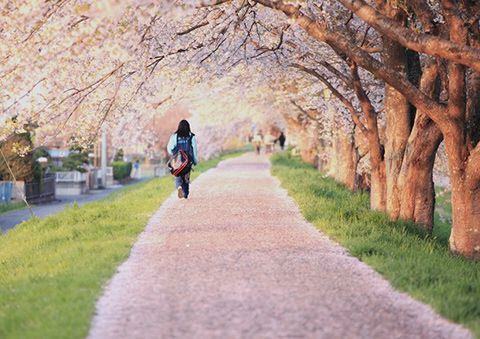 Unlike Osaka or Tokyo, there is very little thoroughfare through this tunnel, making it the perfect place for sakura-viewing and reflecting on the beauty and transience of life. 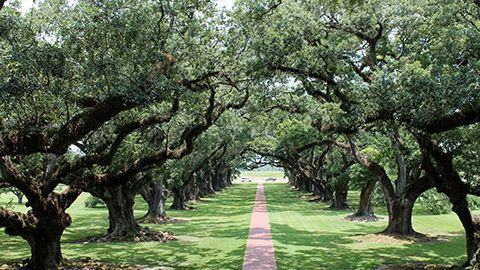 This beautiful oak-lined avenue can be found along the banks of the Mississippi River outside New Orleans in Louisiana. 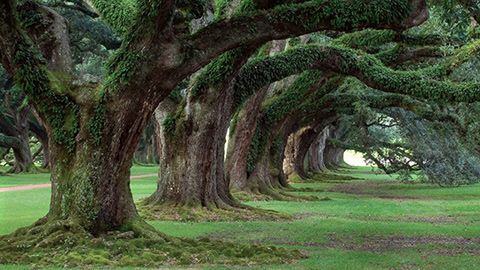 The trees were planted in the early 18th century. If this tunnel looks familiar, it may be because you’ve seen it in a movie. Some of the movies shot here include Interview with a Vampire, Primary Colors, Django Unchained and segments of True Detective. 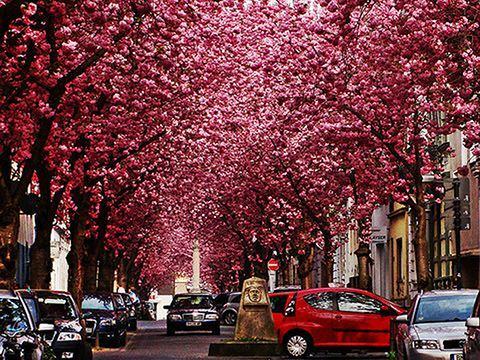 Bonn is a large city of 310,000 people on the banks of the Rhine river in western Germany. 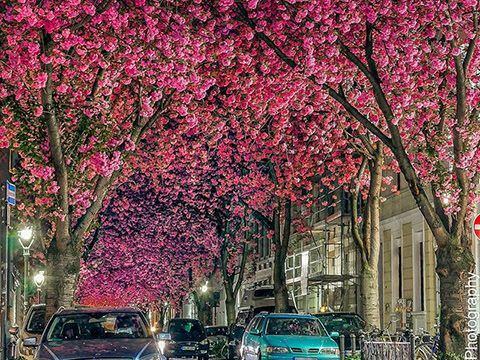 The city is covered in cherry blossom trees that come into full bloom for around 20 days in summer. 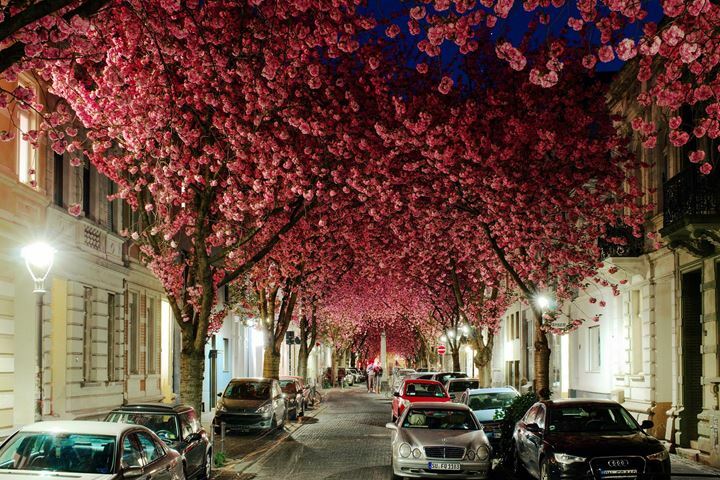 The best place to experience the beauty of the cherry blossoms is the Nordstadt area of Bonn, specifically, Heerstraße, where the streets are narrow and the trees create a tunnel-like canopy of flowers. One of Ireland’s most photographed natural phenomena, the “Dark Hedges” is an avenue of beech trees planted along a narrow country road. 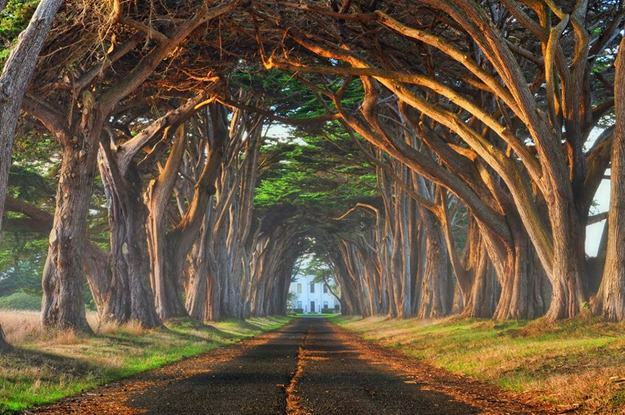 The trees block out much of the sunlight in certain parts, creating a haunting, tunnel-like illusion. 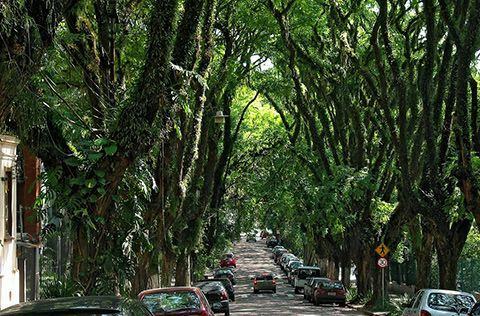 Often called the “most beautiful street in the wordl”, Rua Goncalo de Carvalho is a narrow street in the Brazilian city of Porto Alegre. 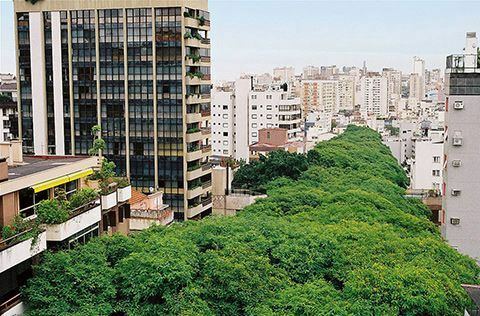 The half-kilometer long stretch of road is covered in a dense thicket of trees, such that it looks like a forest sprouting in the middle of the city when viewed from afar. 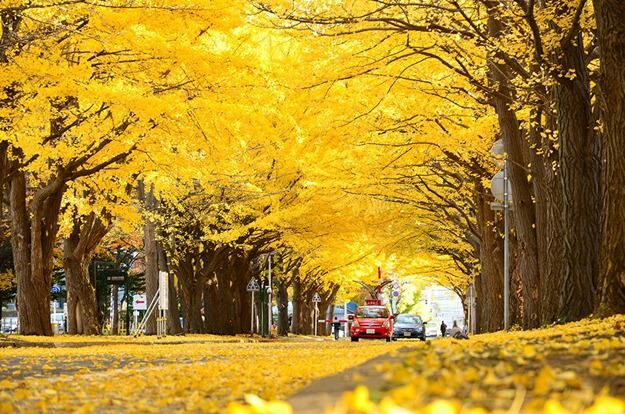 The street itself is so densely covered with trees that it’s impossible to see the sky or get much sunshine, especially when the trees are in full-bloom. 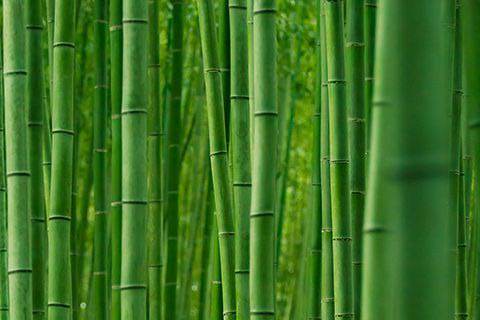 The tree covered Arashiyama district of Kyoto has parks, lakes and dozens of restaurants serving great Japanese food. 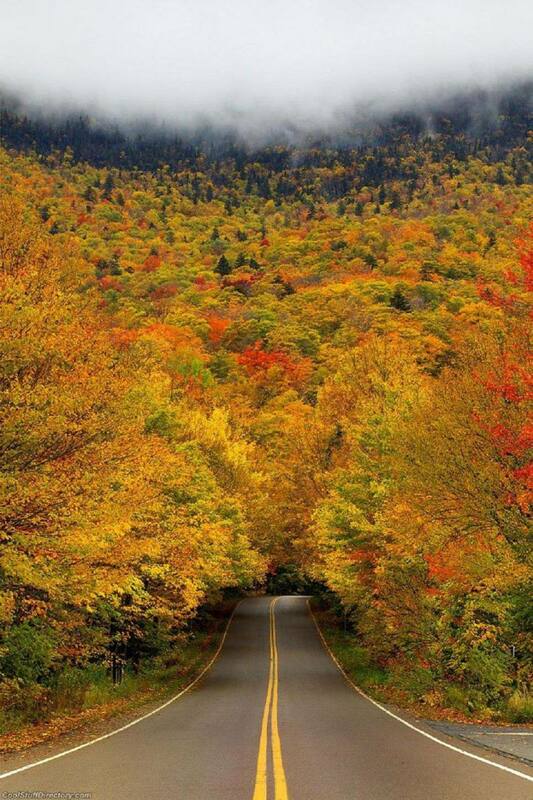 Little wonder it’s such a hit with the tourists. 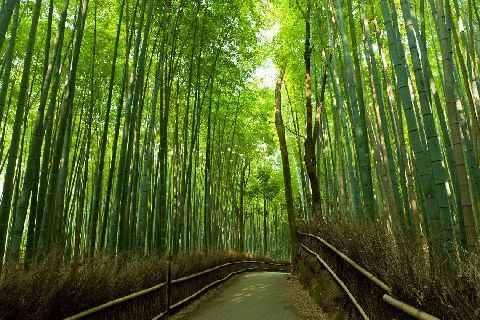 One of the region’s most loved tourist attractions is the Bamboo Path that cuts through the Bamboo groves that grow in the region. 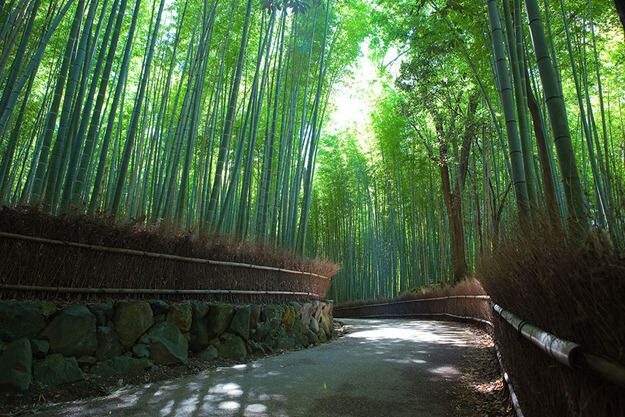 The narrow walking path is surrounded by towering bamboo plants that gently sway back and forth, making for a memorable experience. 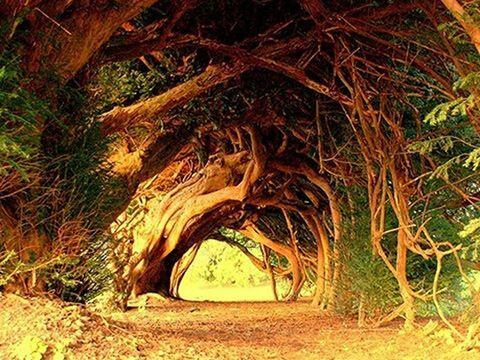 The yew tree tunnel isn’t entirely natural – after the trees were planted (as per most records, sometime in the 18th century), they trunks were bent over to create extended archs. 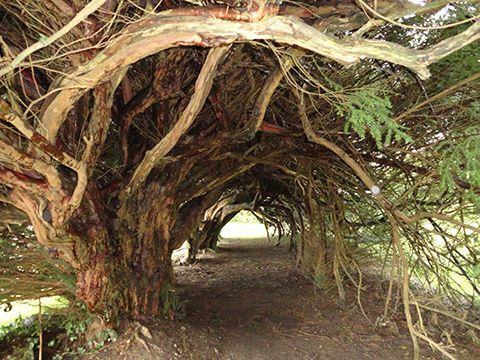 The end result is a tunnel of sorts made up of yew tree trunks and branches that makes for pretty surreal experience. The tunnel itself can be found in the Aberglasney House and Gardens – a medieval-era house situation in Carmarthenshire, western Wales. 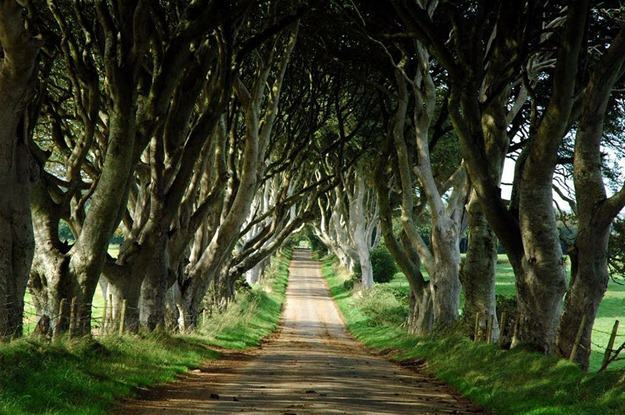 After you’re through with your tree tunnel walk, you can explore the rest of the house and gardens, most parts of which were built in the 15th century. 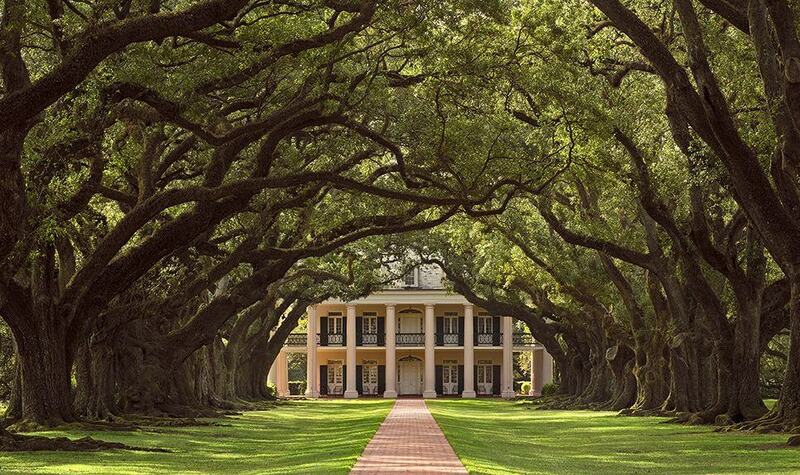 For good measure, the house is also said to be haunted by the ghost of Thomas Phillips, the house’s 19th century owner. 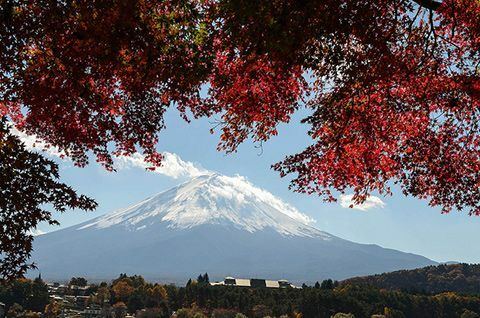 Come here for two reasons: to see Mount Fuji, located just a few kilometers further inland from the Fujikawaguchiko town, and to walk through the tunnel of maple trees along the shores of Lake Kawaguchiko. 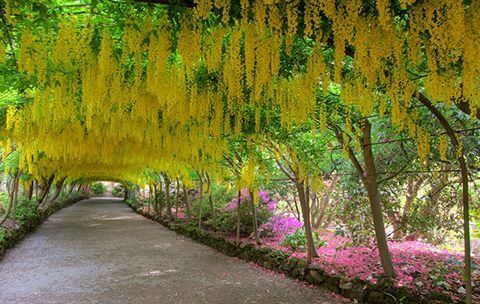 Bodnant Garden is a historic garden spread over 80 acres surrounding Bodnant House near the town of Tal-y-Cafn in Wales. 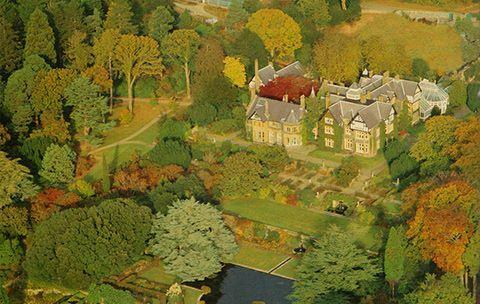 Originally built in the late 19th century, the house and the attached gardens are now a National Trust property known for its verdant, formal gardens, ponds, and rose gardens. 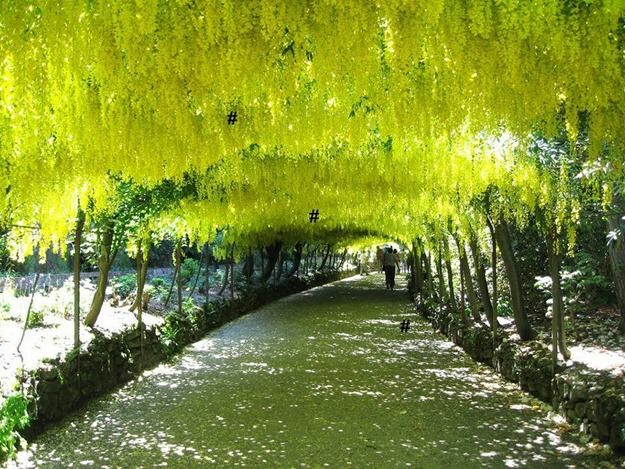 It’s most popular feature, however, remains the artificial tunnel of stunning yellow-gold laburnum flowers. 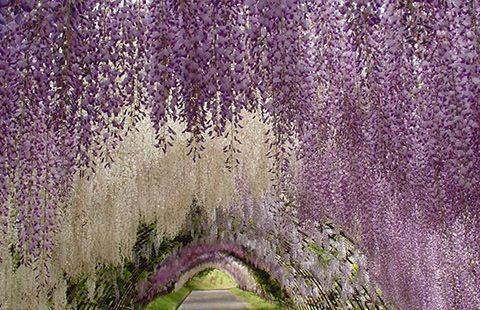 When in bloom, the flowers completely cover the arch, making for a breathtaking sight. 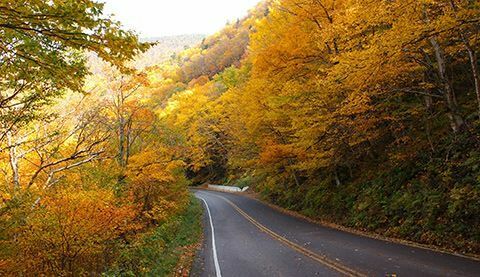 The dense forests of the park were once used by bootleggers and smugglers during the prohibition era – hence the name. One of the most popular attractions in the park remains a road covered in trees that form a tunnel-like canopy. The tunnel is at its most beautiful in autumn, when the leaves turn a deep shade of brown, yellow and red. 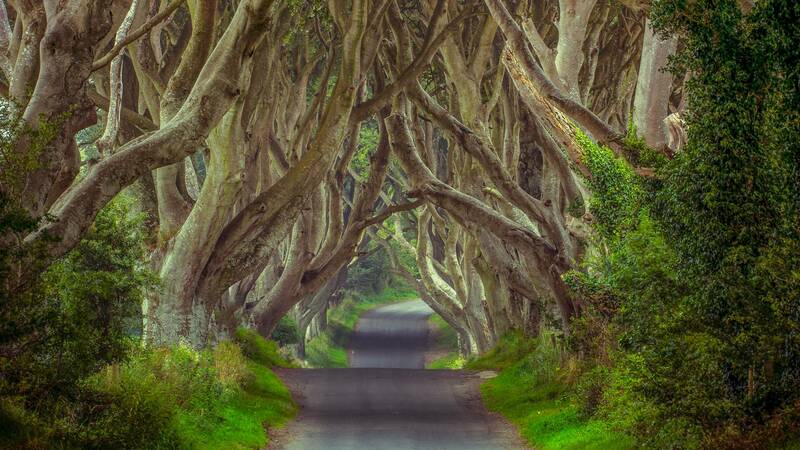 Next: See the 53 most surreal places on Earth.